The Gold Coast is a prime target for wealthy second-home seekers. One of the Gold Coast’s most iconic office towers has been listed for sale, as vacancies in the local strata office market reach a seven-year low. 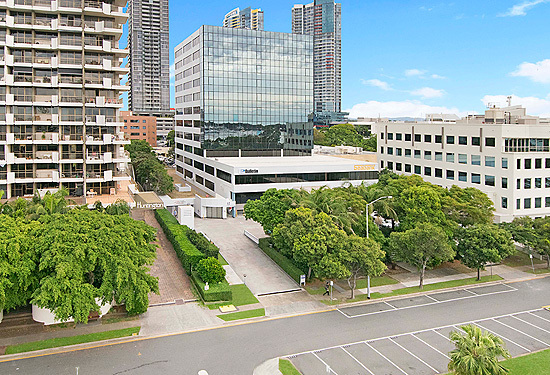 The 50 Cavill Avenue office tower in Surfers Paradise, along with the Seabank office building in Southport, will be sold under instructions from Robert Hutson and Craig Shepard from receivers KordaMentha. The buildings represent two of the most significant commercial buildings offered on the Gold Coast in recent years and are expected to attract a high level of interest from both interstate and foreign investors. Together the properties provide more than 25,000sqm of existing net lettable area, which CBRE says represents about 20% of the comparable Gold Coast office market. Seabank is also being offered with an adjoining 1222sqm site, currently used as open-air car parking but which would be suitable for a range of development options including a residential tower. The listings come as figures reveal the overall vacancy in the Gold Coast strata office market has reached a seven-year low of 14.8%, thanks to improved economic sentiment, the continuing low interest rate environment and increased capital values. Ray White Commercial Gold Coast team leader Steven King says the first half of 2015 has resulted in some strong improvements in capital values, with all markets showing some upward momentum as the local economy recovers. “Current average values have shown some rebound to $3450 per square metre after dipping to the low of $2640 per square metre in 2012,” he said. CBRE’s Jonathan O’Brien and Mason Kidman and Canford Property Group’s Roland Evans and Greg Harris have been exclusively appointed to offer the 50 Cavill Avenue and Seabank properties for sale by expressions of interest. Canford Property Group director Roland Evans says both assets have very strong commercial attributes, including high car parking ratios, large floorplates and key commercial locations in their respective suburbs. 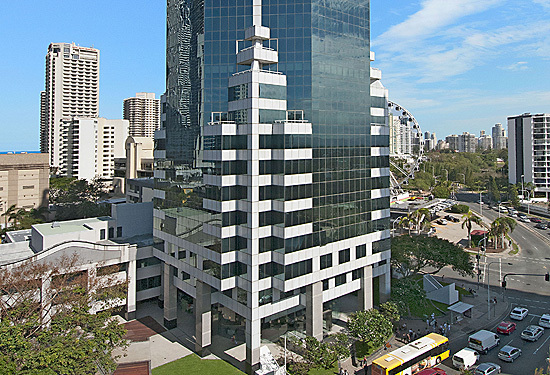 Construction on 50 Cavill Avenue was completed in 1991 and it is the Gold Coast’s largest office tower. It comprises a total net lettable area of about 17,010sqm of office space over 22 levels, as well as 381.5sqm of ground floor retail space and 447 basement car parks. Major tenants include Mantra Group, Nine Network Australia and Regus Gold Coast, although the property is currently at about 50% vacancy. Seabank, situated at 12–14 Marine Parade, Southport, was completed in 1987 and comprises a total net lettable area of about 8492sqm over 12 levels and 253 car parking bays. Major tenants are IBM, Nimble and Queensland Newspapers, and the current vacancy rate is about 21%. The properties will be offered for sale separately or in one line, with expressions of interest to close on October 8.